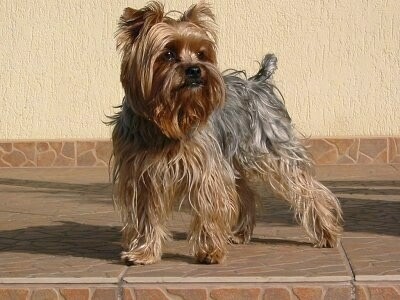 "This is Maddie, my female Yorkshire Terrier. She is 5 1/2 months old in this picture. 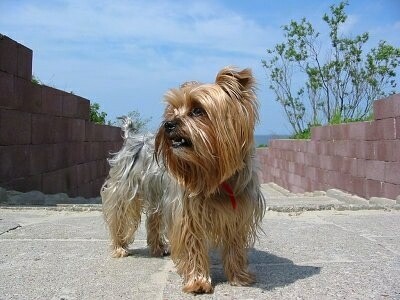 She is very spunky, listens really well, has such a lovable personality and is very alert. Her coat is gorgeous. She is growing so fast, she is about 2 lbs. at the moment; she should be about 3.5-4 lbs. when she gets older. She doesn't show signs of small dog syndrome at the moment, but we are being cautious and watching for it so we can take care of it if it shows. 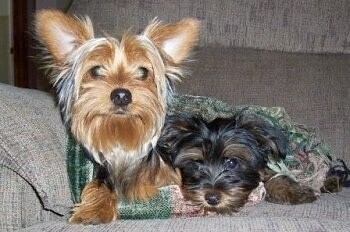 She gets along really well with my other 2 dogs (one being another Yorkie, the other a Lab). She is a really good cuddler. I am proud of her." 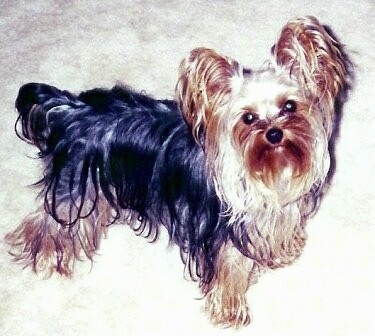 "Muffy is a 3-year-old Yorkie (AKC). She weighs 3 pounds 9 oz. She is my baby and she knows it. Full of energy and attitude. Muffy has liver shunts. Five years old will be a long life for Miss Muffy. After the shock and heartbreak of finding this out, I decided to enjoy every minute with my baby and take the best care of her that I can. She takes medication 3 times a day and seems to be fine. She has restored joy to my life and although she is a very sick little puppy, I wouldn't trade one minute with her for all the silk in China!" 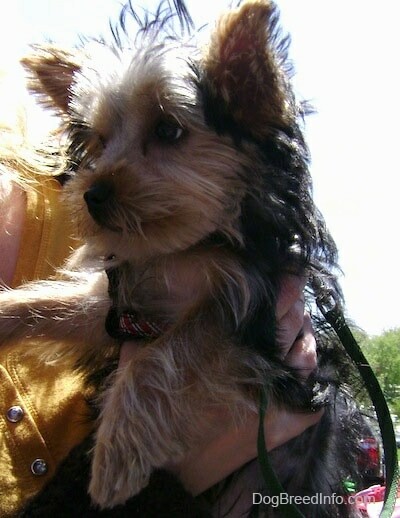 This is a 4-year-old Yorkie named Romeo Fonzirelli Carson aka Fonzi, weighing in at 5 pounds. This is 2½-year-old Juliet Cindirelli Carson aka Julz, weighing in at 7 pounds. This is Princess Lucille Louise, affectionately known as Princess Lucy, at 2 years old. Doesn't she look like she is all attitude? 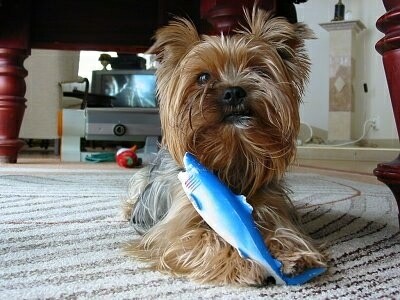 Apple the Yorkshire Terrier getting cleaned up!